A leaked picture shows off what is supposedly the plastic shell for the low-cost version of the Apple iPhone. 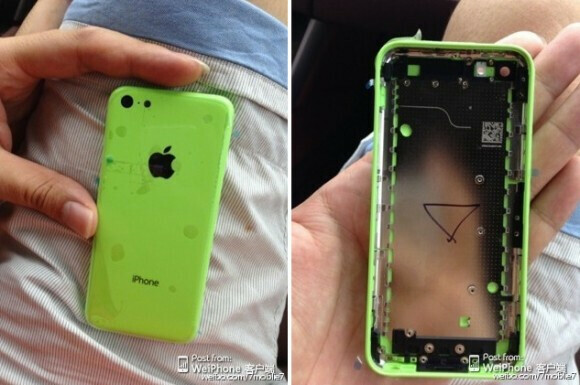 The shell is green and is similar in color to one of the plastic rubber bumpers that is available for the iPhone. The leak comes from a gentleman who has connections to some of the factory workers in China. There is a single circle for the flash to the right of the round opening for the lens, and a small hole for a microphone in between. 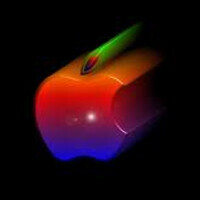 Apple is expected to offer various colors options for the low-cost model with green, yellow, blue, pink and white expected to be available. Besides using a plastic body, the "budget" iPhone should have a slower processor, less impressive camera, 3G connectivity and 8GB of storage. Earlier this month, we showed you a video of what was allegedly a case for the low-cost Apple iPhone and a single cutout on the back of the case aligns perfectly with the positioning of the camera lens, microphone and flash. The low-cost Apple iPhone is expected to be launched later this year in emerging markets like Africa and India, priced at $329 off-contract. I swear to god ppl like to buy apple products only cuz it's American. Design in America made in China. Tech savvy people buy iPhones as well and don't think people don't have the same smug attitude that iPhone users used to have a few years ago that now own Galaxy phones. smug attitude normally come from the non techno savvy lot. anyway let leave them alone as they buy what their friend told them it's cool and most are now holding galaxy s4 now or at least until iPhone 5s comes around. I'm not rich...I just wanted an iPhone because I wanted an iPhone. I went from iPhone 4 to the Galaxy S3 then to the iPhone 5 (now). Nothing rich about me, lol. Not yet, at least. Me either tech. I just like how the iPhone works. Buy what you like, and be done with it. +1 WH. They're not for everyone that's true, but for a solid dependable device, you can't go wrong with em. I wonder why they wouldn't just make a 5th gen iPod touch as a launching pad, that's practically a phone already! haal yae waats inn yor wolet. I wouldn't trade my frAgile shatter-prone iPhone 5 for this hideous iPos!! Two Thumbs down and one finger up. You have an awfully BIG head, which means you probably have a VERY small head. 3G... slower processor??? Welcome BACK to 2010 iphone fans, LOL! But seriously, this is a good look for the iPhone. This may actually bring the customization the iPhone is in desperate need of, especially if the rear housing is changeable. I think it'll reach its target demographic WM. it'll be an entry level phone, hope they price it accordingly.